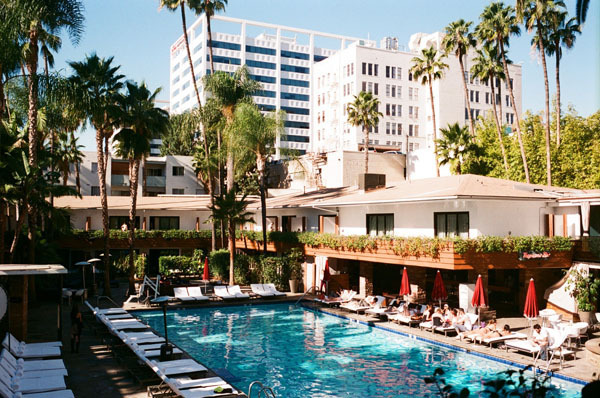 A stay at the Roosevelt Hotel is a step back in time to the Golden Era of Hollywood. Situated in the heart of the West coast’s version of Times Square, a walk out the door puts you on the Hollywood Walk of Fame and a stones-throw from the TCL Chinese Theatre. The hotel offers accommodations for virtually any traveler. The Tower, built in 1927, captures the old-school glow of Hollywood with a modern touch. Even with a recent $30 million renovation, the hotel’s lobby has kept its original tile floors, ceiling and glass chandelier, allowing its historic ambiance to welcome guests from their first step inside. Its selection of rooms includes studios, deluxe kings and doubles, superiors and even suites. For the ultimate movie star experience, check out the Gable and Lombard Penthouse, a three-level suite with rooftop access to a 360-degree view of Hollywood. If you are looking for a more relaxing experience away from the noise and flash, The Cabanas offer a modern west coast feel with an unmistakable Golden Age flare. 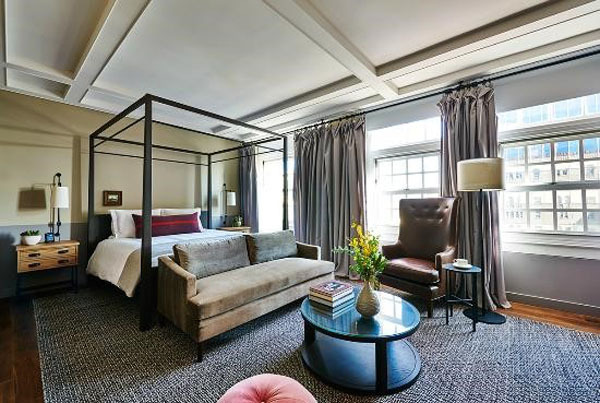 Perfect for an upscale bachelor party or a scene from Mad Men, become immersed in the natural oak and charcoal hardwood floors, immense mirrors and quiet elegance. This location is also perfect for families looking for a tropical getaway with easy access to the pool. Rooms are available poolside, suite, balcony and superior. With eight bars, restaurants and lounges, you may not need to leave the hotel. Each venue offers its own unique style and atmosphere, ranging from classic American burgers and milkshakes to upscale cocktails. The Tropicana Café is the ultimate brunch spot, with poolside food and drinks and a 1960’s aura. The Spare Room provides the ambiance of a candle-lit speakeasy during Prohibition and even features a two-lane bowling alley. The historical significance of the Roosevelt is also undeniable. The first Academy Awards took place in the hotels Blossom Ballroom. Former residents of the hotel include Marilyn Monroe, Shirley Temple and Clark Gable. 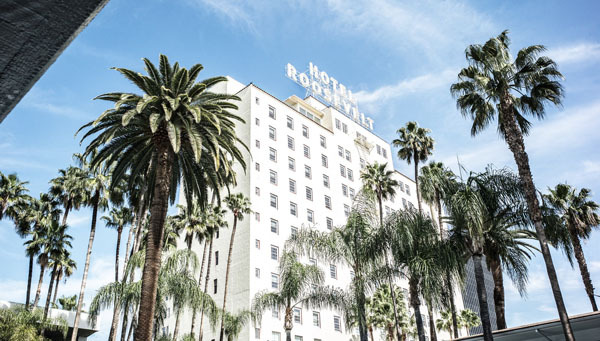 For any lover of old-time Hollywood, the Roosevelt Hotel is the ultimate tinsel-town experience.